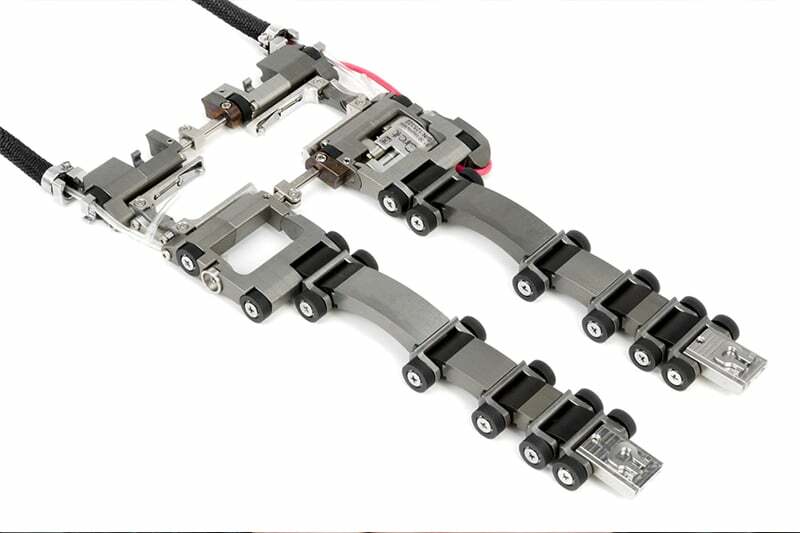 designed to provide encoded position of probes circumstantially around piping and tubing ranging in size from 21.4mm (0.840in) to 114.3mm (4.500in). Due to the ultra low profile design the Circ-it scanner can operate in an 11mm (0.433in) radial clearance envelope. The DJG001 Circ-it kit is completely configurable for both dual and single probe scanning applications. 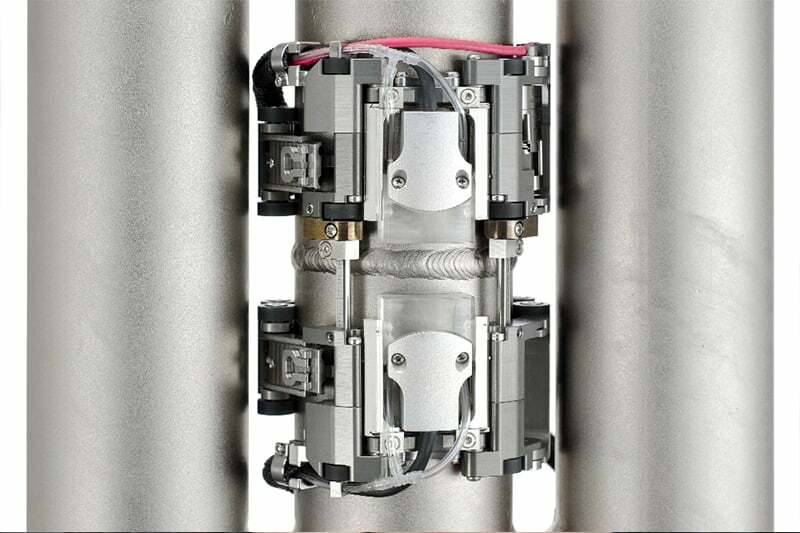 Low Profile Design – The Circ-it maintains a radial clearance of 11 mm (0.433 in) which allows for limited access inspection. 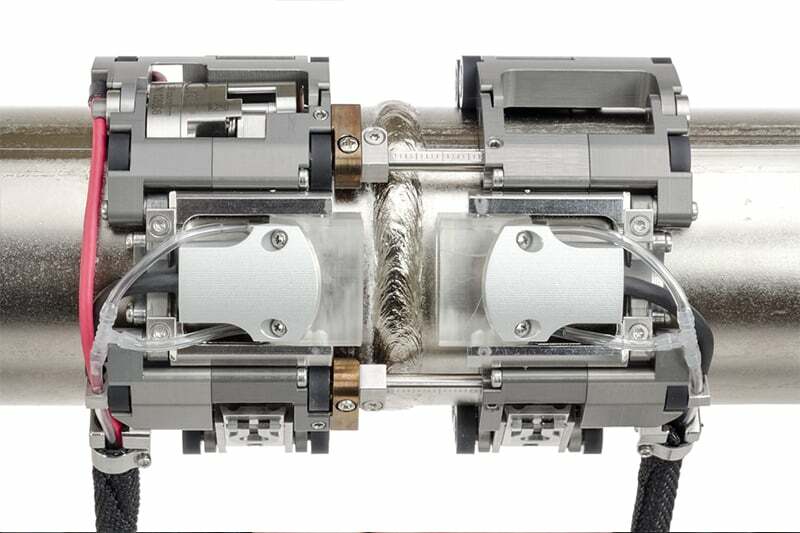 Small Diameter Scanning -The capability of scanning pipe/tube diameters as small as 21.4 mm (0.84 in) make the Circ-it a valuable tool. Urethane Wheels – Durable urethane wheels provide smooth rolling and adequate traction in vertical scanning applications. 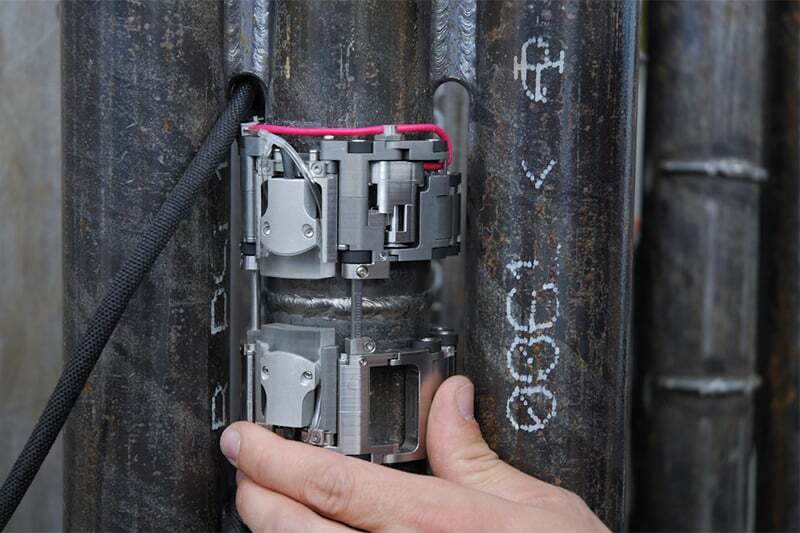 Cable Management – The Circ-it scanner features a cable management system for irrigation lines and probe cables. 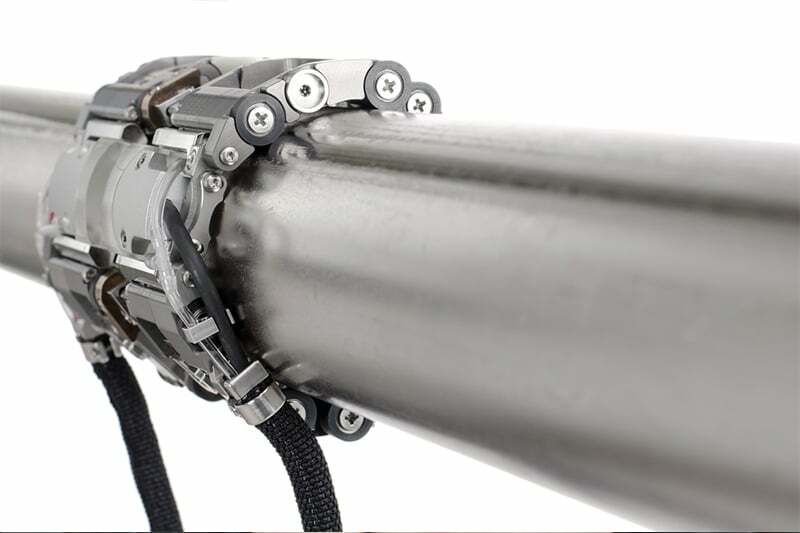 Quick Change Links – Links provide infinite adjustment for pipes or tubes to be scanned between 21.4 – 114.3 mm (0.84 – 4.50 in). Probe Holders – Carries Olympus A15 small-footprint probes and wedges. 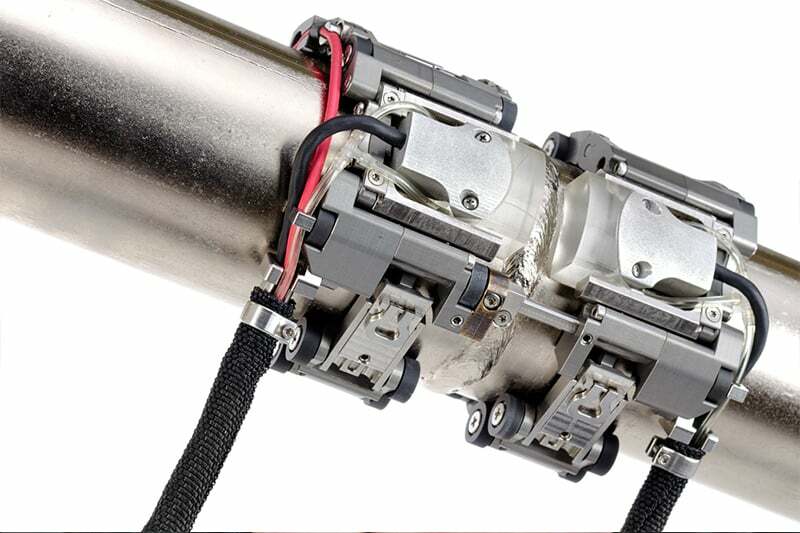 Irrigation Kit – The included irrigation kit contains the necessary hoses, fittings, tubing, etc, required to connect a couplant pump to the probe(s) being carried by the scanner. Tool – Tools for all adjustment and manipulation of the scanner and components are included with the system. Warranty – 3 year limited warranty on all products. Contact us to find out more about the Circ-It Dual Probe Weld Scanner or any of our other Phased Array & ToFD equipment, or request a quote online.